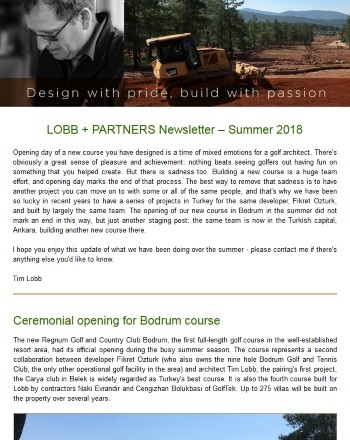 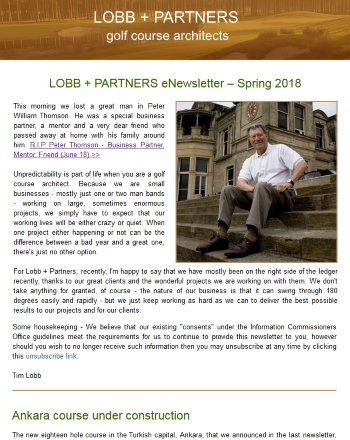 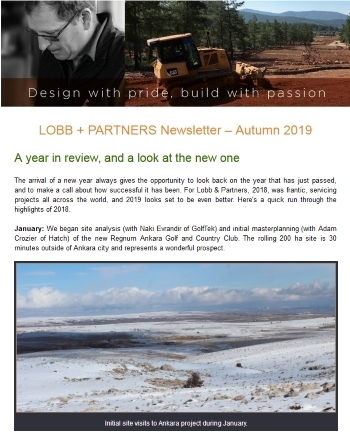 Corporate video of golf course design firm LOBB + PARTNERS with history and experience of owner Tim Lobb as well as design philosophy for each project undertaken. 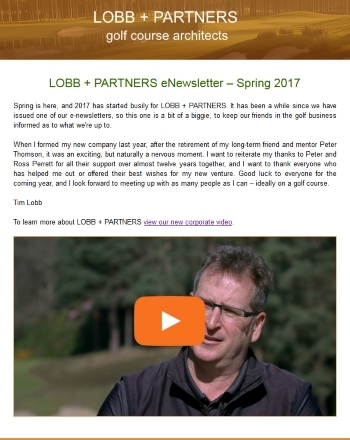 From hand drawn sketches to fully blown working drawings Tim Lobb of LOBB + PARTNERS explains his process of masterplanning a golf community. 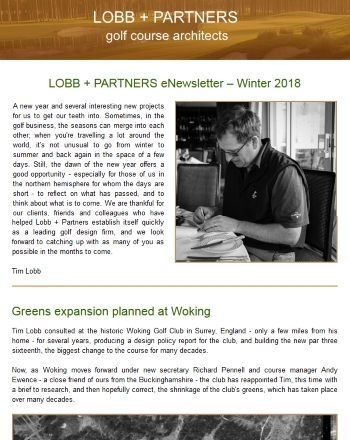 Recognised as one of the best Colt courses in the world this video highlights the design and construction works to holes 1, 3 and 9 at the famed St Georges Hill Golf Club. 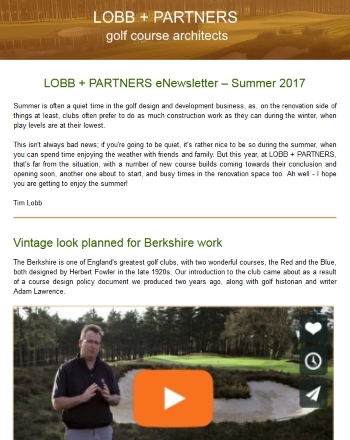 The Berkshire Golf Club is a pure golfing experience. 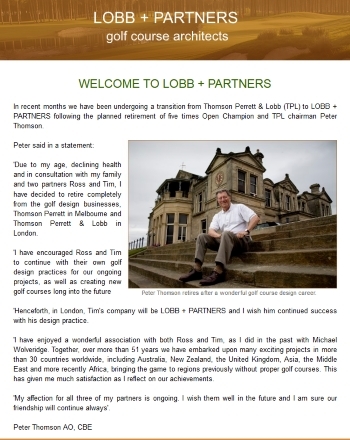 Watch to see restoration works being undertaken to the famed Red and Blue courses by LOBB + PARTNERS. 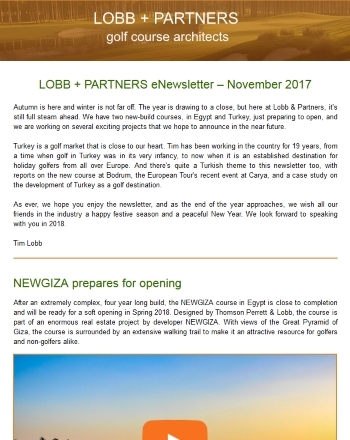 You can click on the images to read the newsletters.